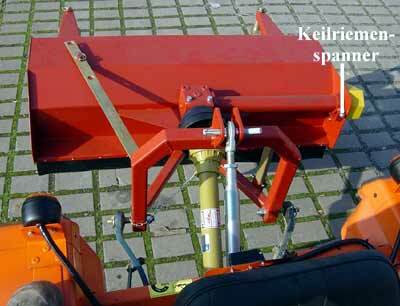 The small tractor should have a rear three-point hitch and KATI and a standard PTO 1 3/8 clockwise with 540rpm. 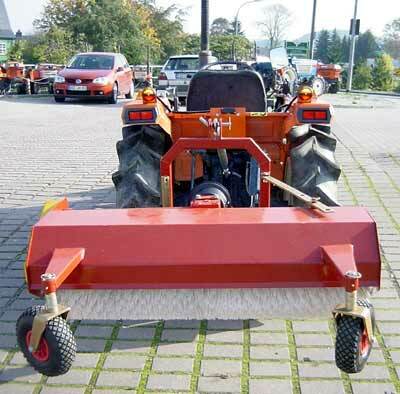 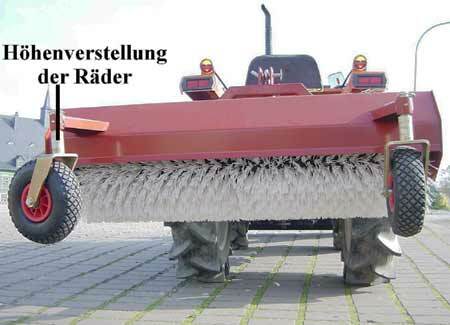 The sweeper is on both sides triple pivotable and has a working width of 1,20 m.
The rear pneumatic-tired ball-beared wheels have a wide contact surface and they are adjustable in height. 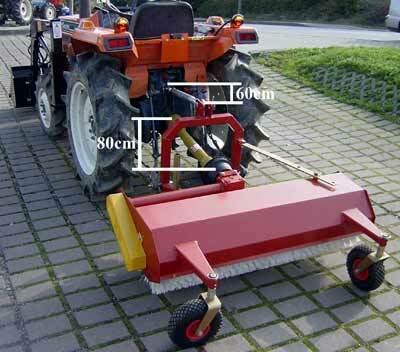 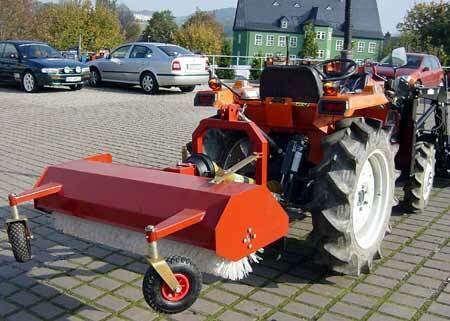 The sweeper is constructed very close to the tractor to ensure greater maneuverability. 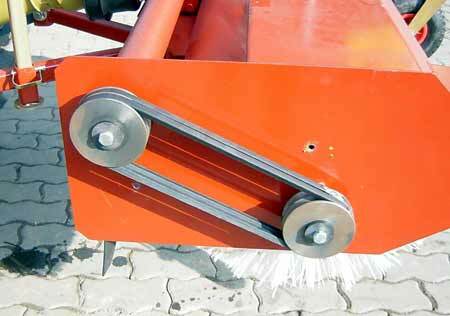 The PTO shaft is included as standard in the delivery. 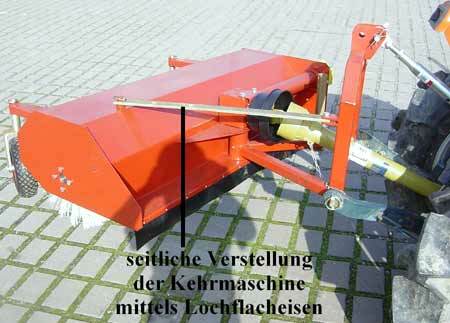 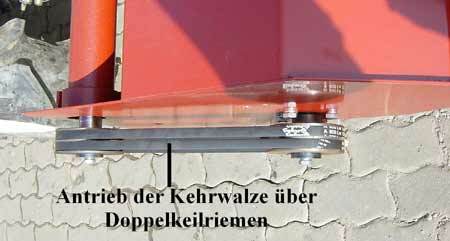 The sweeper can be parked easily by support leg.